Christmas is that one time of year when people use triggering greetings like “Merry Christmas” or force their oppressive religious beliefs on others with their gift-giving, Christmas trees, and yard decorations that sometimes include a scene from –gasp- The Bible. 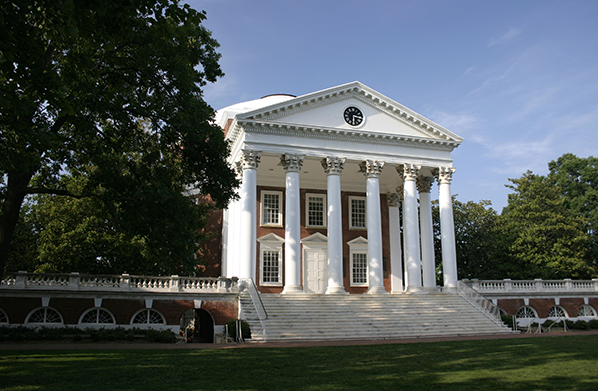 The students at University of Virginia (UVA) are fed up and won’t stand for it any more. Students signed a petition created by a fake student group called “Students for an Inclusive Holiday Season” to ban references to Christmas on campus. Reporters from the conservative campus new outlet, Campus Reform, started the fake group and created the petition to drive attention to the absurdity of political correctness on campus and the eagerness of today’s college students to not offend anyone. “This time of year, it feels like people can shove their holiday happiness in your face, like ‘Merry Christmas!’ and it just gets kind of old,” [CRO reporter Cabot] Phillips ventured, as a signee agreed. [CRO reporter Amber] Athey told another group of students that the faux student organization was sending a letter to the administration to let them know that the overt celebration of Christmas can be “almost oppressive” for some students on campus. “I will totally sign,” a female student enthusiastically responded. “I know a lot of students who aren’t religious, so when they see the Christmas trees and all the lights it can be a bit triggering, so we’re just trying to make campus a safe space for them,” Athey explained to a student while he signed the petition. Students were all too eager to sign a fake petition last year urging radio stations to stop playing the holiday classic "White Christmas," because Bing Crosby's song which focuses on "white" Christmases, is a racially-charged micro-aggression. College students today are being conditioned to think that Christmas as an oppressive holiday, but who's really being oppressive? If being inclusive is the goal of anti-Christmas students on campus, they they should make room for all beliefs to be exercised not excluded. Setting religion aside, this video exposes the absurdity of political correctness on campuses today. Students are so fearful of possibly offending others that they are willing to limit the free expression of thoughts, ideas, and beliefs that differ from those in vogue among their peers. They are willing to erase the color and texture of individualism for a flat vanilla conformism. Our belief system is part of what makes us individuals and to deny the expression of that denies who we are. Free speech is a fundamental American right guaranteed in our Constitution, and a human right that should be celebrated on college campuses. College should be a marketplace of ideas and beliefs – even those that compete and conflict. That conflict creates tension and tension is messy, but it produces something that we all benefit from. Christmas wreathes, red bows, and “Merry Christmas” greetings should have a place just as every other greeting and decoration should have a place on campus. Students need to understand that, because in the post-college world, they will encounter beliefs and perspectives that differ from their own. The response should not be to shut down or shut them out, but to understand and find ways to work together, live together, and move forward together.